At Indigo Books & Music, revenue in the first quarter slipped 0.5%, to C$205.4 million (about US$157.1 million), and the net loss nearly tripled, to C$15.4 million (US$11.8 million), compared to a net loss of C$5.3 million (US$4 million) in the first quarter last year. Sales online and at stores open at least a year rose 2.4%. The company said that online sales of books and general merchandise continue to grow, "with highly successful promotional campaigns driving a meaningful increase in e-commerce traffic and average order value." In bricks-and-mortar retailing, sales were hurt because of "a number of stores undergoing renovations and the closure of a few low performing stores as part of the company's retail transformation, while renovated stores continued to deliver double-digit growth." The company is on a campaign to convert itself into "a book lover's cultural department store." The higher net loss occurred primarily, Indigo said, because of its "investment in strategic initiatives, including store renovations and the expansion of its distribution facilities, as well as a change in accounting estimates for breakage in the prior year." CEO Heather Reisman commented: "This quarter marks the beginning of the most aggressive investment period in our history. We are making major investments in our Canadian retail network, we've just opened our new Calgary distribution centre, we continue to make meaningful investments in our digital platform and we are poised to open our first U.S. store. As with any period of major investment, this has put temporary pressure on our profitability. Based on the tremendous response to our new concept stores and the growth we are seeing online, we are confident this period of investment will solidify our position as a valued retailer." Founded in 2016 as an advocacy organization of independent publishers aiming to build community among indie publishers and with booksellers and readers, the Independent Publishers Caucus has taken a major step in its development: it has hired Ben LeRoy as its first executive director and Veda Kamra as a staffer. Both will work part-time for the first year. Co-founder and IPC steering committee member Dan Simon of Seven Stories Press said, "The steering committee has been working methodically to build IPC in such a way that it will last, and having Ben and Veda join us is the next logical step. I love Ben's energy and that he's an idea guy--and a book publisher." LeRoy was the founder and publisher of Bleak House Books before selling the company in 2005 to Big Earth Publishing, where he continued as publisher. In 2009, LeRoy left Bleak House Books to start Tyrus Books. In 2011, Tyrus Books was purchased by F+W Media. LeRoy continued as publisher of Tyrus Books until the imprint was sold to Simon & Schuster as part of a larger deal. He commented: "I was fortunate to start two independent publishing companies. I am a tireless advocate for words and their power to meaningfully impact the lives of readers. I think protecting and celebrating independent voices is absolutely crucial at this time. I look forward to doing what I can to advocate for publishers, writers, and booksellers. Needless to say, I am honored for the opportunity given to me by the publishing professionals on the Steering Committee, whom I have long admired." Kamra is a senior at the Gallatin School of Individualized Study at New York University, where she studies education, privatization and human rights. IPC was launched at the 2016 Winter Institute in Denver by Seven Stories' Dan Simon and Tom Hallock of Beacon Press. It has developed under the aegis of the American Booksellers Association, had several sessions at the Memphis Winter Institute earlier this year, has a website and a newsletter, and will offer some programming at the Brooklyn Book Festival on September 16. Besides Simon and Hallock, IPC's steering committee includes Michael Reynolds of Europa Editions, Fiona McRae of Graywolf Press, Bronwen Hruska of Soho Press, Jon Fine of Open Road Media, Terrie Akers of Other Press and Ibrahim Ahmad of Akashic Books. 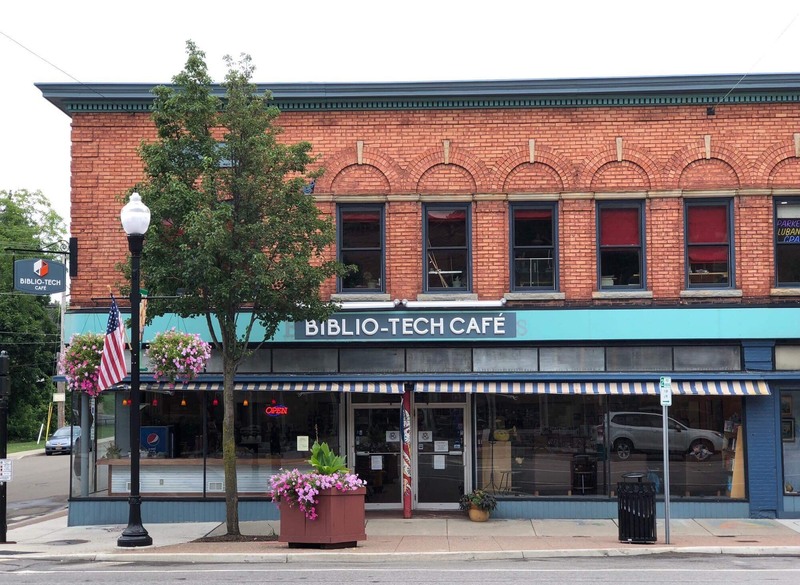 The Biblio-Tech Cafe: Tech, Toys, Books & Coffee in Perry, N.Y.
"I was very into the idea of making things my own," said Giuseppe Gentile, owner of The Biblio-Tech Cafe in Perry, N.Y. Earlier this year, Gentile purchased the 12-year-old independent bookstore Burlingham Books and reopened it as the Biblio-Tech Cafe in June. "I wanted to give it a new coat of paint, a new name, just make it my own." The roughly 2,500-square-foot bookstore and cafe sells new and used books, with around half the space devoted to children's books and toys. Gentile, who managed Burlingham Books for 11 years before buying the store, said that compared to its predecessor, Biblio-Tech Cafe has a less wide-ranging selection of books but a much more curated one, with a stronger emphasis on new titles. Since taking over the store, Gentile has expanded the selection of children's books and especially children's toys. Toys and games sell "extremely well year-round," he said, and because he has small children of his own, it seemed like a natural fit. He also described himself as a "giant kid who likes toys." 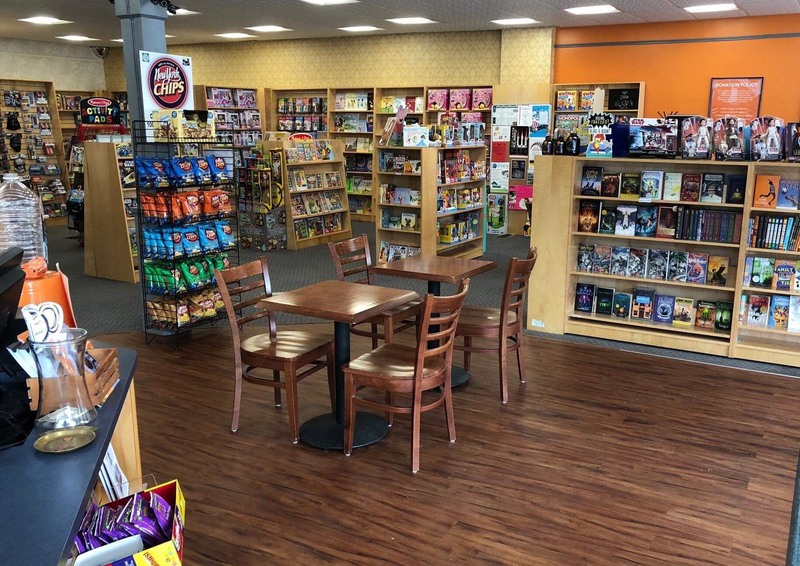 Gentile reported that Biblio-Tech Cafe is the largest seller of Melissa & Doug toys in the county, and the store is now an official Lego retailer. He's brought in LOL Surprise Dolls, which he said his daughter was "really into," along with classic Hasbro toys and board games. "For years at Burlingham, tourists would come in and ask if we have Monopoly, Jenga," Gentile recalled. "Now I can finally say yes." Gentile has expanded the cafe. In addition to coffee, tea, Italian sodas and smoothies, the store now serves a variety of baked goods from a nearby restaurant called Hole in the Wall. The baked goods, Gentile reported, are extremely popular, and often sold out before noon. He's also added some gluten-free and vegan options and put in more comfortable seating. In keeping with the "tech" part of the new store name, Gentile carries a small selection of electronics and accessories, including charging cables, screen protectors, USB drives and other odds and ends. He compared the electronics inventory with a "small scale" RadioShack and said he stocks the kind of stuff that no one wants to drive 30 minutes for. Biblio-Tech Cafe also offers tech support; Gentile said that he mostly does software support, but on a limited basis will do some hardware repair as well. Gentile intends to keep working with local elementary schools for book fairs and to continue bringing in authors, but he also has ambitious plans for nonbook events. He wants to begin hosting birthday parties at the store and is working with a local pizzeria to come up with a special birthday party menu for the cafe. He hopes to bring in a projector and host viewing parties for things like the final season of Game of Thrones, and have Lego parties for children. He'd like to work with local schools to host chess club meetings as well as Raspberry Pi workshops. And while he hasn't ironed out all of the details yet, Gentile wants to do something with the local chapter of the 501st Legion, a nationwide group of Star Wars cosplayers who dress in motion-picture quality Stormtrooper costumes. In the span of about five months, Gentile went from being the manager of Burlingham Books to owner of the Biblio-Tech Cafe. The renovations took only about five weeks after the previous store's owner moved out, and Gentile credited the quick turnaround to his penchant for being a meticulous planner. "We hit the ground running," Gentile said. "We only had a couple of minor delays that we were able to adapt to." Two former Burlingham Books employees, a full-timer and a part-timer, have stayed on to work at Biblio-Tech Cafe. While Gentile and the other former Burlingham employees do a little bit of everything, he explained, he's hired one more part-timer who exclusively does receiving and shelving. Matthew Sweeney, the Irish poet known for collections like Black Moon, The Night Post, and My Life as a Painter, died Sunday, August 5 at the age of 66, the Bookseller reported. The cause of death was motor neuron disease. Sweeney published his most recent collection, My Life as a Painter, earlier this year. He was the author of more than a dozen other collections, and his 2007 collection Black Moon was shortlisted for both the Irish Times Poetry Now Award and the T.S. Eliot Prize. 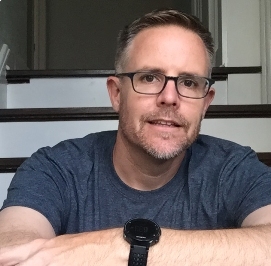 Sweeney also dabbled in fiction: in 2012 he published Death Comes for the Poets, a satirical crime thriller co-written with English poet John Hartley Williams. Born in Lifford, Ireland, Sweeney went on to study German and English at the Polytechnic of North London and the University of Freiburg in Freiburg, Germany. He received the Cholmondeley Award and the Arts Council England Writers Award and was a member of Aosdána, "an Irish association which honors outstanding contributions to the creative arts." Sweeney, who was diagnosed with motor neuron disease in 2017 and lost his sister to the same condition in 2009, told the Irish Examiner earlier this year that he would not let the diagnosis stop him from writing. In one of many tributes from the poetry community, poet Patrick Cotter wrote on Twitter that Sweeney "put up a spirited fight against the reaper in the past week and wrote up a storm in these last months of life." 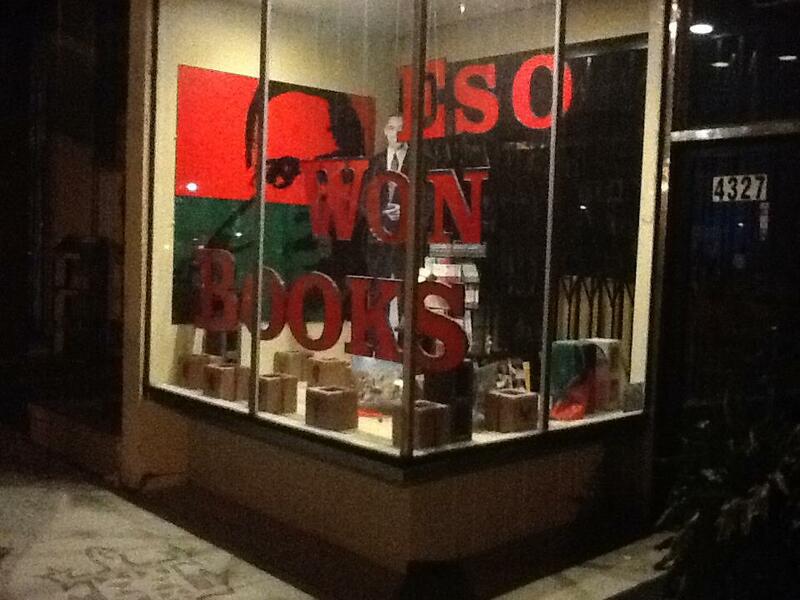 L.A. Weekly tells the story of how Eso Won Bookstore, the famed Southern California African-American bookstore, began as a part-time venture by three men with full-time jobs elsewhere who sold books out of their homes. Eventually, they opened a storefront, still working part-time, but this proved difficult. Because he was the one without a spouse and children, James Fugate took the plunge and began working full time. One partner went his own way, but the other, Tom Hamilton, eventually joined him--and the two continue to run the store. The original trio came up with the idea for a black bookstore at a "Free Nelson Mandela" rally (to give a sense of how long ago this was, Mandela was let out of prison in 1990), and wanted a name that had a link to Africa. As L.A. Weekly wrote: "One of them had just returned from Aswan, Egypt, which inspired Fugate. 'They call Aswan the Valley of the Kings. And they're buried underwater, many of them,' he says. That's when he came up with the idea: 'As water flows over the rocks, so does knowledge flow through books.' And so Eso Won--the African name for Aswan--was born." Charis Books & More, one of the few feminist bookstores left in the U.S., where "books line every wall, but the space is open and welcoming. Charis Books feels distinctly local, and it carries books from nearby authors. In line with its mission of being a community hub, Charis Books has a section devoted to free community resources for all ages. Community members gather often at the store for various events each month, including weekly yoga." A Cappella Books, a "small, cozy shop" that "hosts author events across the city year-round and is active in its neighborhood, including a monthly fiction series at local pub the Wrecking Bar." Little Shop of Stories, Decatur, which "exudes a fairytale atmosphere irresistible to both kids and adults. 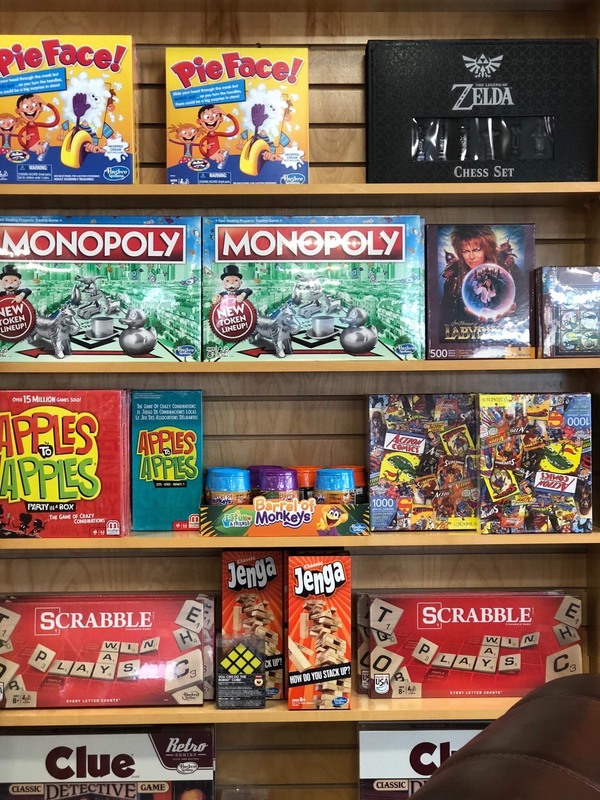 The Decatur Square store bills itself as 'books for kids and the grown-ups they become,' and while most of the space is devoted to children's literature, they also have a good selection of books for adults and teens." Avid Bookshop, with two locations in Athens that "feel warm and friendly, and the stores are so well-organized that it's easy to find whatever you may be looking for. And if you have no idea what you're looking for, every section has handwritten notes by the staff scattered throughout that describe the books they're currently recommending." Anthology Editions, Brooklyn, N.Y., an imprint of the record label Mexican Summer that focuses on art, music and pop cultural history. Subjects covered by some of its books include UFO archives and paranormal paraphernalia, the earliest documentation of punk rock, SoCal skate culture on the skids, private press record collections, psychedelic private libraries, modular moments from Library Music and more. Trope Reader, a part of Trope Publishing Co., Chicago, Ill., a new boutique publishing platform integrating digital and print, and publishing books and periodicals on a variety of regional and international subjects. Gestalten, Berlin, Germany, which focuses on design, architecture, illustration, escape, fashion, wheels, photography, travel, food & beverages and contemporary art. Its children's line, Little Gestalten, was founded in 2014. Gingko Press, Berkeley, Calif., which publishes in art, design, architecture and interiors, photography and media studies, creativity and lifestyle, and includes children's books. Lisa Michalski has been promoted to senior publicist and marketing associate. A senior publicist since 2012, she previously was publicist and marketing assistant. She joined the company as a publicity intern in 2008. Jake Bonar has been promoted to publicist and marketing associate. He had been a publicist since 2014. 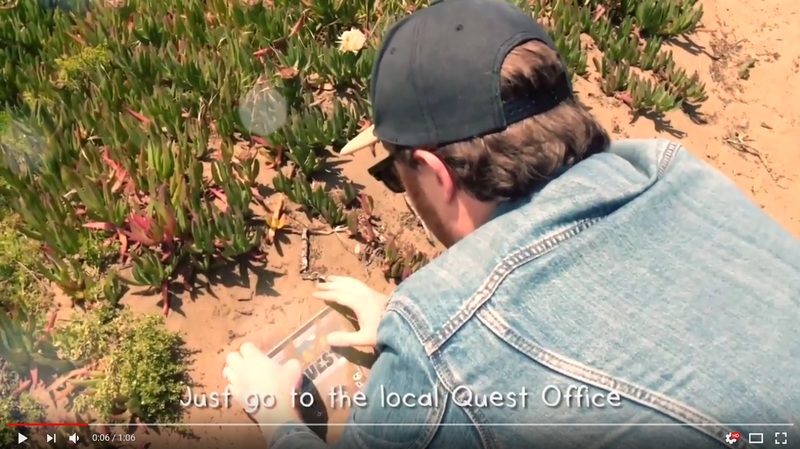 Maze Quest by Travis Nichols (Chronicle Books). Conan repeat: Tom Papa, author of Your Dad Stole My Rake: And Other Family Dilemmas (St. Martin's Press, $26.99, 9781250144386). For a full list of winners, each of whom receives S$10,000 (about US$7,330) click here. 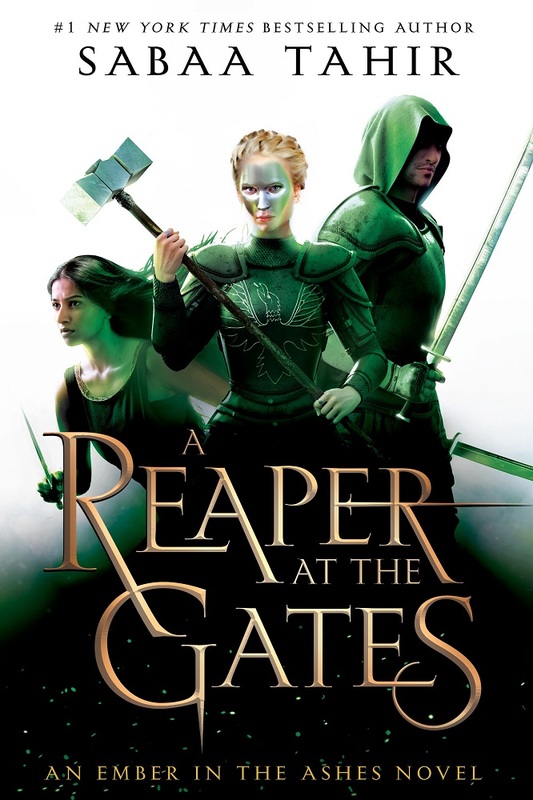 Sabaa Tahir is the author of the YA novels An Ember in the Ashes, A Torch Against the Night and the recently released A Reaper at the Gates (Razorbill, June 12, 2018). She grew up in California's Mojave Desert, at her family's 18-room motel. There, she spent her time devouring fantasy novels, raiding her brother's comic book stash and playing guitar badly. She began writing An Ember in the Ashes while working nights as a newspaper editor. She likes thunderous indie rock, garish socks and all things nerd. 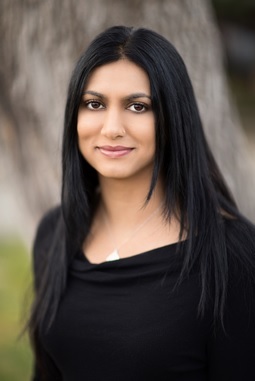 Tahir lives in the San Francisco Bay Area with her family. The Storm by Arif Anwar. This also doubles as the book that I bought for its cover--gray storm clouds and a woman in a bright orange sari. The contrast drew my eye. Seven Daughters and Seven Sons by Bahija Lovejoy and Barbara Cohen. This was my very first mirror book--I had never seen anyone even remotely resembling myself in fiction, and Buran, the heroine of this story, is both Muslim and brown. I checked the book out so much that eventually my school librarian gently suggested that perhaps I should "lose it" and then pay a fine (i.e., keep it forever). But I didn't want to get in trouble with my parents, so I just longed for it like it was my long-lost love. Eventually I bought my own copy in college. Mohsin Hamid, a Pakistani author who can make you laugh and rip out your heart in one page. Alison Croggon, author of the Pellinor Quartet, a YA fantasy that is one of my favorites. Patrick Rothfuss. The Name of the Wind is a fantasy book that I still reread every couple of years. Marie Lu, author of the Legend Trilogy, the Young Elites Trilogy and her latest, Warcross. Marie writes with a keen eye for both plot and characterization--and I'm a sucker for her heroes. Nicola Yoon. I devoured The Sun Is Also a Star on a plane ride and then immediately started again from page one. Nicholas Nickleby in seventh grade. I don't even know why. I guess since it was big I thought people would be impressed? I had a lot to learn about what impressed middle schoolers. The Dark Days Club by Alison Goodman. I absolutely adore this series and am forever pestering people to read it. It's like Buffy the Vampire Slayer, but in Regency England. The lead character, Lady Helen Wrexhall, has to balance the demands of her high society life while murdering demons from another dimension. The Sandman series by Neil Gaiman. But it's not exactly fair to say that I hid it. I stole it from my brother who hid it in this giant green steamer chest filled with comics. Then I would sneak into his room, find his key (which he kept in an extremely obvious place) and then sneak them back to my room to read by flashlight. The Sparrow by Mary Doria Russell. It's a story about mankind's first (doomed) mission to an alien planet and combines science fiction, philosophy and theology with questions of faith and trauma. It is the book that taught me what it means to try to write honestly. This changes constantly, but my current favorite is from Circe by Madeline Miller: "But I saw the thought in him, living like a second body, and feeding in the dark." I wish so much that I could re-read Harry Potter. I was a freshman in college when I first read it. Everyone had gone to a concert but I had a cold and was miserable in my dorm room. A friend of mine dropped it off for me and while at first I refused to read it, she made me promise to read the first quarter of the book. I did and I was hooked. I snuck into her room a few hours later to read Book 2... and then Book 3. It was then that I learned there was no Book 4, and joined the legions of Potterheads forced to wait ages for the next book. Although he struggled much of his life with an internal moral debate between "duty to God" and "duty to country," Bonhoeffer's way of seeing the church as a "revolutionary force" and a means to serve others ultimately won out. But as the young pastor was "beginning to separate the idea of his own country's glory from the glory of God... the very opposite thing was happening in Germany. The teetering country had grown desperate in the decade since the end of the Great War." With words and deeds, as a pastor and a spy, Bonhoeffer fought against what he saw as an evil force born of that desperation. He was actively involved in several plots to assassinate Hitler, and he used his religious persona to serve undercover in the German resistance. Although he never saw the end of the war--or of Hitler--Bonhoeffer was executed in a concentration camp knowing that he was an integral part of a rebellious movement based on "polar opposite" values to Nazi ideology. Hendrix's (Shooting at the Stars; Rutherford B., Who Was He? : Poems About Our Presidents; Miracle Man: The Story of Jesus) uncommon style weaves nonstop illustrations with blocks of facts, imagined conversations and direct quotes from a chilling era. He helps readers begin to make sense of the unfathomable: how so many in a country could not only tolerate but rabidly support a man whose operating principles relied on hatred, fear and murder. He also helps readers understand that not all in Hitler's Germany supported the regime; many--even high-ranking officers in the armed forces and officials in the Nazi party--were secretly fighting back from their positions of power. 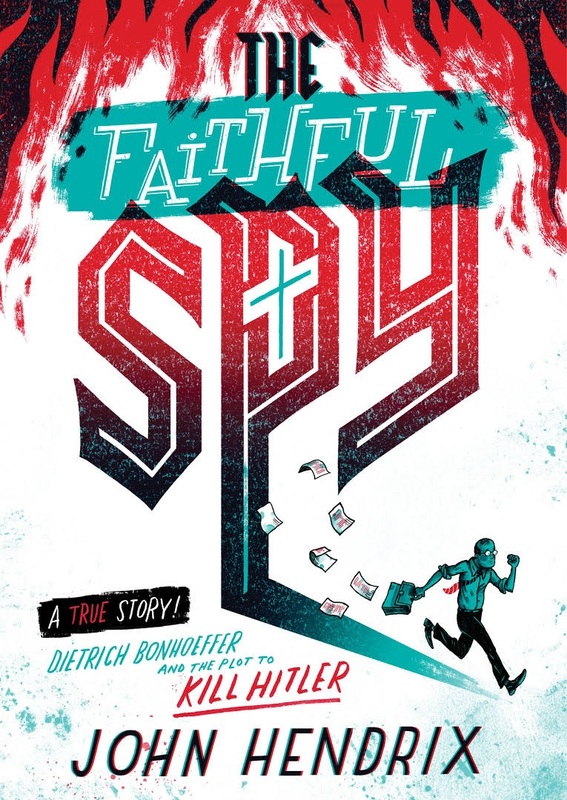 Shelf Talker: The illustrated story of Dietrich Bonhoeffer--pastor, spy and passionate rebel against Hitler's devastating Nazi regime--offers readers great insight into that period of history.